The Clearview Pioneer 400 is the highest specification small stove ever built. It’s so fuel-efficient it will burn only one kilo of wood an hour, stay in over-night, boil a kettle and even heat your water, if the 8,000 BTU boiler is added. 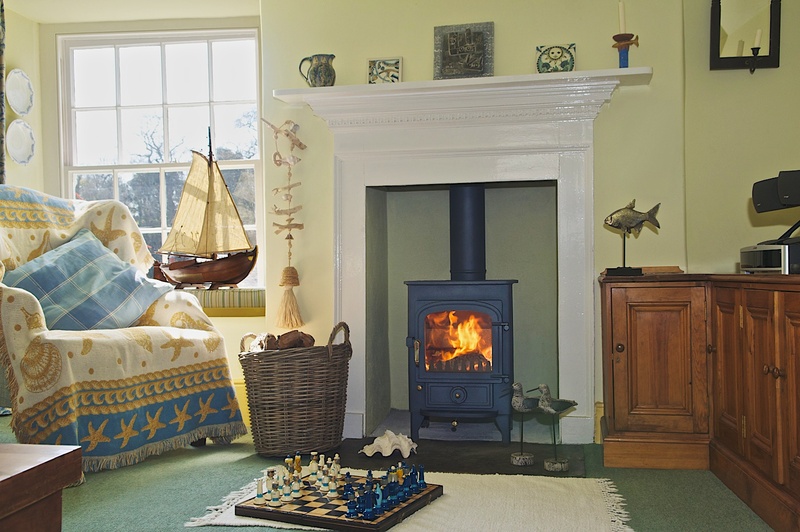 This rugged and stylish stove is equally at home in a country cottage, modern apartment and even a mobile home or a boat. •One double-glazed door that gives an uninterrupted view of the flames. •Clearview hot air-wash system for really clean burning without fuss or pampering. •Independent up draft and down draft air distribution system for maximum response and control. •Refractory lining, promoting super clean combustion. •Multi-fuel grate, for easy lighting and rapid response. •Heavy steel construction – welded inside and out for durability and long life. •Solid brass knobs and door handles. •All “wear and tear” stove parts are easily replaceable making maintenance comparatively effortless. •Stainless steel ash pan for long life and easy ash removal. •Rotary grate for easy riddling. •Adjustable levelling bolts, for easy adjustments on uneven hearths. •Adjustable hinges and door catch to maintain air tightness throughout the life of the door seals. •Hotplate surface for coffee pot or kettle. •Takes up to 10 inch logs. •Available in a range of seven colours to compliment your decor. •External air box or external air plinth, for a direct connection to an outside air supply. •Optional top or rear flue outlet. •8,000 Btu stainless steel boiler.